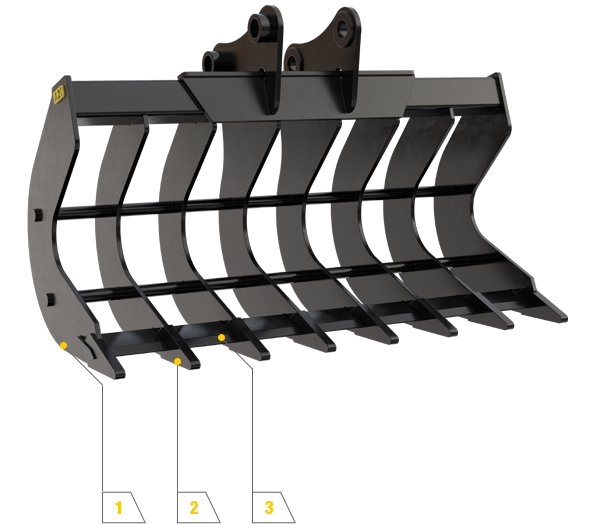 A high-capacity root rake for all your land clearing needs, our root rakes come as a curved type to ensure the perfect result. 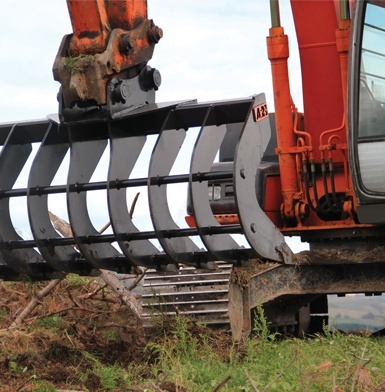 It’s great curve makes it ideal for a range of tasks, including land clearing, rock sorting or green waste disposal and loading. This results in greater strength and allows you to pick up more with every scoop. Fitted with heavy-duty BIS 400 tips to ensure the best results and as little wear as possible. To minimise wear and increase overall strength. A great curve to the rake ensures greater breakout force and allows greater capacity. This shows our confidence in the product. Having worked in the toughest conditions around the world, we have set the standard for durability.